The control room features a large0foramt Calrec vintage analogue mixing desk with 72 inputs. It also includes a large collection of vintage and new analogue outboard equipment (Neve, API, Urei, Teletronix etc). Supporting both digital and analogue recording with a Pro-Tools HD recording system and a 2” 24 track Otari MTR90mk2 tape machine the control room is linked up to all three live rooms. Please see a high-resolution image of Control Room. 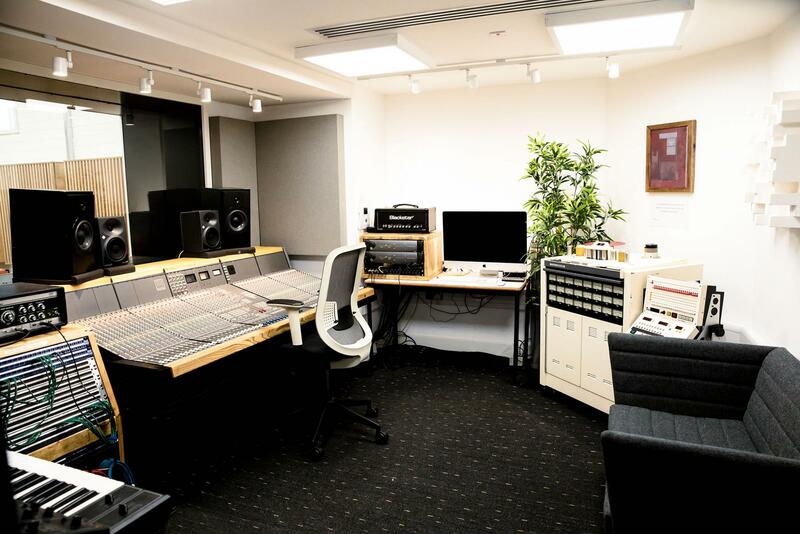 Studio 1 operates as the main live recording room. It features 12ft high ceilings, a timber floor, and variable acoustics. It includes a Yamaha C6 Grand Piano in concert piano condition. Please see a high-resolution image of Studio one. Studio 2 is our second recording room with a dryer acoustic. 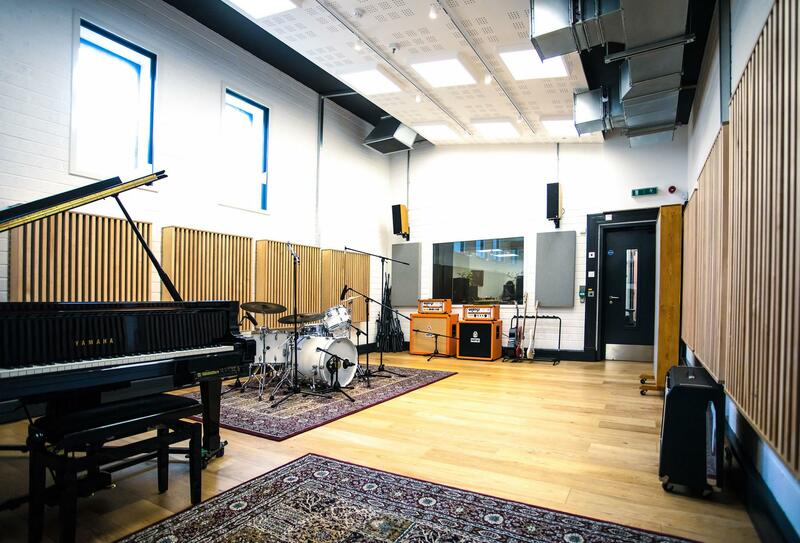 It features an upright piano known as “The Dalek” as well as a vintage Fender Rhodes Piano and is also used for rehearsals by students in the music department. Please see a high-resolution image of Studio two. 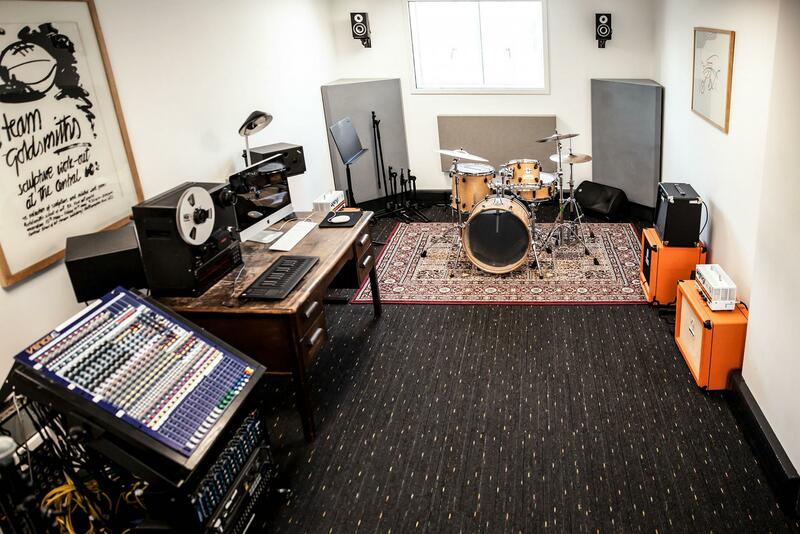 Studio 3 is a self-contained production and rehearsal room. 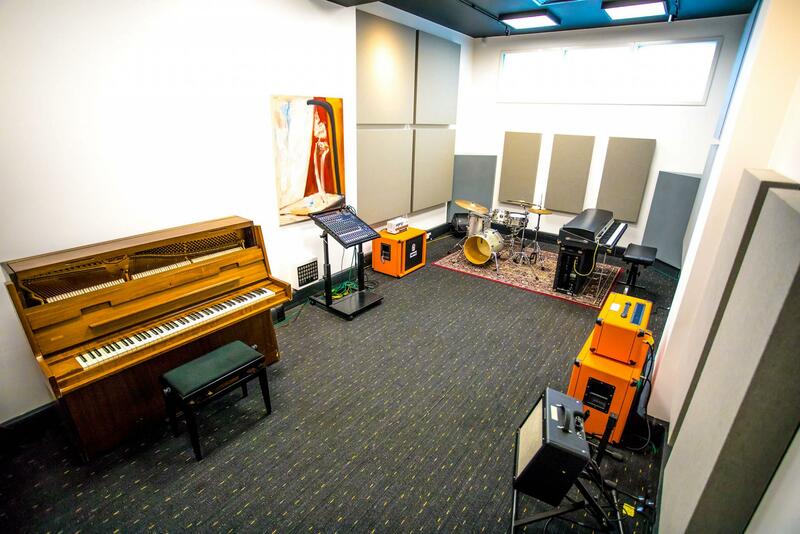 It features a Midas Vienna analog desk and a Fostex 8 track tape machine as well as full-back line, an upright piano and a vintage Roland Juno 106 and Dave Smith Prophet 08 synthesizers. Please see a high-resolution image of Studio three.